As the National Pension Service (NPS) considers exercising its voting rights against Hanjin Group management, the market attention is on which company could be the state pension operator's next target. Market analysts said Friday the NPS will likely engage in shareholder activism as a major shareholder in Namyang Dairy Products and Hyundai Green Food, because of the companies' low dividends and questionable business practices. According to each company's regulatory filing, the NPS holds a 5.71 percent stake in Namyang and a 12.6 percent stake in Hyundai Green Food as of last Sept. 30. The pension operator is the third-largest shareholder in Namyang and No. 2 in Hyundai Green Food. Analysts said those two companies are the likely targets of the NPS' stewardship code, in which the operator can have a strong influence, because the NPS has already placed the two companies on its watchlist for low dividends. In May, the NPS said it had been demanding the two companies come up with "reasonable dividend policies" for more than three years but they have not shown improvements. The pension service warned that it may join hands with other shareholders to exercise its rights. Despite ups and downs in its operating profit from 2015 to 2017, Namyang has been distributing the exact same amount of 854.7 million won to shareholders throughout the period. While its operating profit declined to 5.1 billion won in 2017 from 41.8 billion won a year earlier, the dividend ratio grew to 17 percent from 2.3 percent, but the numbers are still far below the average 33.8 percent of listed companies in 2017. Hyundai Green Food has also been keeping its dividend ratio low at around 6 percent from 2015 to 2017, though its operating profit has logged at least 87.1 billion won during the period. "The two companies have been showing solid performances for years but keeping their dividend at a mere level," an analyst at a Seoul-based brokerage said. "Since the NPS started applying its stewardship code, the pension operator will likely guide those companies to improve their dividend policies." Another factor spurring the NPS' activism on those companies is criticism that they harmed shareholder value with Namyang's questionable business practices and Hyundai Green Food's governance structure. Namyang has stirred controversy over its abusive business practices toward sales contractors and was recently embroiled in an allegation that a substance assumed to be mold was found in its juice product for children. Hyundai Green Food has been attempting to break the circular shareholding structure involving the owner family ― Hyundai Department Store Group Vice Chairman Jung Gyo-sun and his brother and group Chairman Jung Ji-sun ― and other Hyundai Department Store Group units. 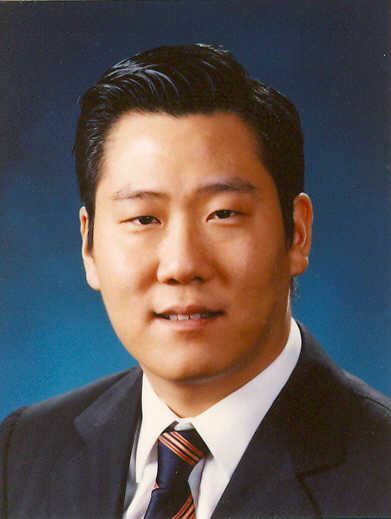 "Now that the NPS adopted its stewardship code in July, the pension operator will enhance its demand for improvements in Hyundai Green Food's governance structure and increased dividends," HI Investment & Securities analyst Lee Sang-heon said. Earlier this week, the NPS decided to exercise its voting rights in the upcoming shareholders' meetings for Korean Air and other Hanjin Group units, a move that could topple Hanjin Chairman Cho Yang-ho and his family members from management. If the operator finalizes its decision, it will be the first case of the 630 trillion won fund applying its stewardship code, which allows for the pension operator's close engagement in corporate affairs, after it adopted this last July.